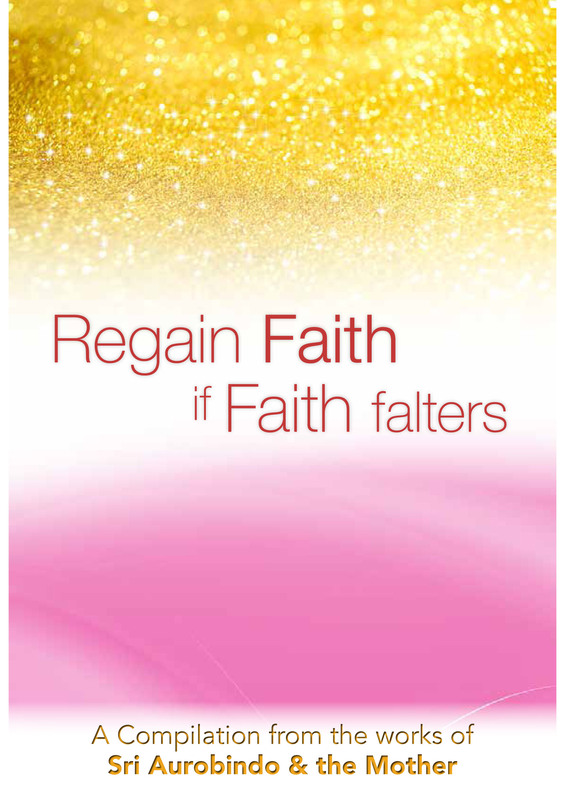 ‘Regain Faith if Faith Falters’ is the third book in the series of books on topic ‘Faith’. First this book informs us that faith is latent in man’s nature. This faith remains under the fiercest adverse pressure and even to the experienced sadhak faltering or overclouding of faith brings a retardation of his progress. This book deals in great details the methods by which one can regain the faith which is necessary to progress on the path. Then it talks about the people who have no faith in the higher truth for they cannot grow into the Godhead which they deny. If we are deficient in faith, nothing can be accomplished and our work begins to flag and failure is frequent. Then it deals with the spiritual principle of not to take away any faith unless one is able to replace it by something larger and more complete. For a bad religion is better than no religion. The enemy of faith is doubt and doubt is almost inevitable in an age of intellectuality and scepticism and a materialistic denial of spiritual truth which has not yet lifted its painted clouds from the face of the sun of a greater reality. This book deals with how to conquer doubts. Then it discusses about faith and reasoning, for faith exceeds logical reason because it uses the higher intuitive reason. This book is for free download.